The new MTN 5m Water Based paint markers are an exceptional addition to the water based line. Giving even more control and flexibility with our products, these smooth, high quality markers are quickly becoming a favorite on the market. 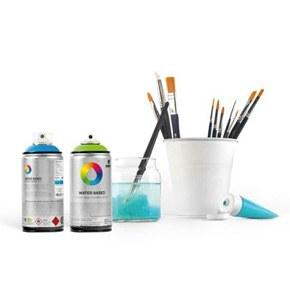 It's medium 5mm size allows this MTN water based paint marker to be an ideal medium line / fill in graffiti marker or fine art paint marker with a high coverage paint that works well for fine detail work. Similar to a Molotow one4all this 5mm paint marker is perfect on canvas or any graffiti art project.